ohsolovelies (at) gmail (dot) com or send us a tweet at twitter.com/ohsolovelies. Love your blog. Would you consider mentioning or placing a link of my new online True Vintage Thrift Boutique for inclusion in your list of recommended shops! In turn, I will do the same! Hey I saw a photo of you guys in front of a cool vintage trailer on pinterest....do you have any more photos of that trailer? It looks great. WOW just discovered you page and have fallen in love. Will be visiting daily! Liked your Facebook page and following you on Pinterest. I own a lovely little shop on ETSY called Earths Trove. Lovely Blog & all the work you do, Ladies! Wonderful blog! It is clear that you place a lot of effort and care into it. I look forwarding to reading more from you ladies. I would like to ask a favor of you. I am a manager at Monstervintage.com. My boss (the owner) and I would be honored to have you promote our company on your website. We would, of course, do the same for you! 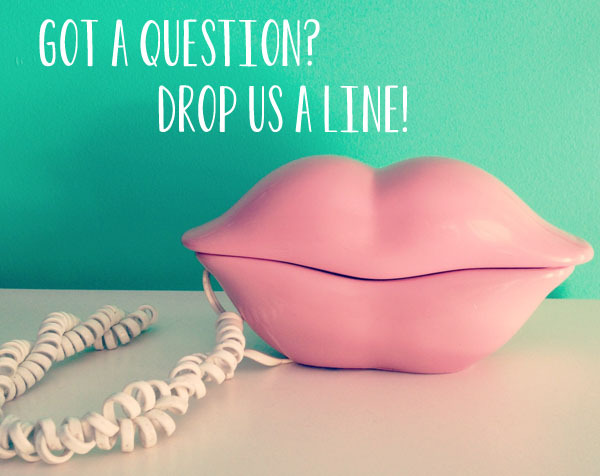 If you have any questions, please do not hesitate to email me at cheryl@monstervintage.com. Thank you so much for you time! I simply just LOVE this blog.. It's so cute, unique and original! I like just scrolling through it and looking at all your pictures! I know you probably get this a lot.. But I was wondering if you would take a look at my blog, and maybe rate it? there was this pink dream whip my use to buy she would use her mixer then pour it into parfiet cups, it was kinda foamy litlle air holes in it real fluffy where can i find any??? This blog is full of happiness and colors ! As I manage this marketplace 100% dedicated to vintage items, I am interesting to know if you would mention it in your advices? Hey guys, love the blog! I stumbled on this because I have a song I just put out called "So Lovely." It dawned on me that it could be a great little theme song for the blog, or just something you guys could use if you need a feel good poppy piece of music. Here's the link to the song if you're interested: https://soundcloud.com/caeldadian/so-lovely Thanks so much and keep up the great posts! I am sorry that you are no longer in the Exchange District. You will be missed. How does one buy your merchandise.